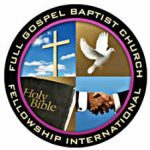 The Full Gospel Baptist Church Fellowship International (FGBCF) was founded in 1994 by renowned singer and six Stellar Award winner, Bishop Paul S. Morton, Sr. after the Lord pressed on his heart to bridge the the gap between Baptist and Pentecostal traditions. The idea from the Lord was to build upon the traditional Baptist Church as a foundation, but to also balance it with more charismatic influences. 10,000+ members later, The Full Gospel Fellowship has become one of the fastest growing Christian communities in the world. It embraces all ministries, churches, individuals and other entities that acknowledge and accept Jesus Christ as Savior and Lord. The Full Gospel Fellowship is inclusive to all baptized believers who acknowledge and accept the gifts of the Holy Spirit. The Full Gospel Fellowship consist of regional, state and district leaders across the world. It believes in autonomy of the church, therefore, keeping this in mind, All Nations Church is a separate entity that has its own leadership team and standards within the ministry. In November 2015, the Sr. Pastor of All Nations Church, Jonathan L. Woods, Sr., was elevated within the Full Gospel Fellowship to the position of District Overseer of the Birmingham Metropolitan area. He was later elevated to State Overseer of Alabama in June 2018, and is now addressed as Overseer Jonathan L. Woods, Sr. both in the fellowship and All Nations Church settings. The Full Gospel Fellowship is headquartered in Atlanta, GA and our current presiding Bishop is the honorable Bishop Joseph Walker, III. To learn more about The Full Gospel Fellowship, you can visit their website at www.fullgospelbaptist.org.